It was the call of ‘Vande Mataram’. It was the call of Bharat Mata urging her sons and daughters to rise in rebellion, to take up arms, against the British. It was a whiff, the aroma of freedom that touched each home across the length and breadth of the country, from the east to the west, north to the south. And the sons and daughters of the soil obeyed the mother. While Netaji Bose went to foreign lands to raise an army, thousands, both men and women irrespective of age, rose in revolt. They assassinated Britishers and led protest marches. They raised the national flag. Many attained martyrdom as a result at the hands of the British. 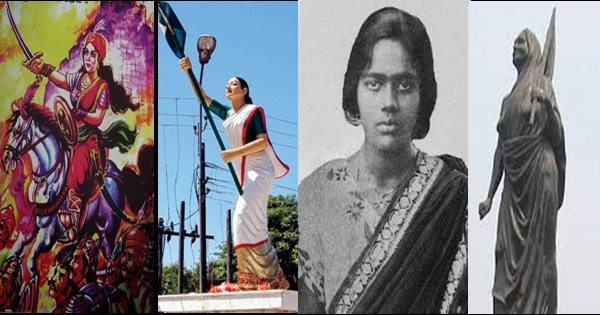 From 12-year old Baji Rout of Orissa to 16-year old Shivdevi Tomar of Uttar Pradesh, from 23-year old Bhagat Singh of Punjab to 26-year old Alluri Sitarama Raju of Andhra Pradesh, from 17-year old Kanaklata Barua of Assam to 14 year old Suniti Chaudhary of Bengal – the list of martyrs is unending. But this did not deter the spirit of the freedom fighters. And ultimately one day, the British had to leave India, at the cost of the martyrdom of uncountable freedom fighters. Besides the rising rebellion and action of the freedom fighters over the years, it was the attack by Netaji’s INA followed by INA trials and the resulting revolt by Indian soldiers in the Navy and Army which led the British leave India. And as per Clement Atlee, the British Prime Minister from 1945 and 1951, who signed off on the decision to grant Independence to India, Mahatma Gandhi’s role in India’s freedom struggle was minimal. Bengal was no different. This state was home to few of the largest secret groups of freedom fighters that masterminded the assassination of many British officers. School going and college going students including housewives and uneducated women and youth joined the movement. 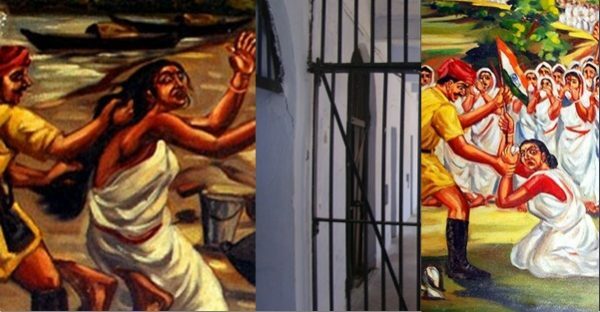 Thousands were arrested, hanged, or deported for life to Kaalapani, the Cellular Jail in the Andaman Islands. It is a pity that today’s Bengal is no longer the Nationalist Bengal of yesteryears during freedom movement. Do you know in a secret meeting by the Ghadar Party led by Rash Behari Bose, 21 February 1915 was declared as the BIG uprising – the war against the British? 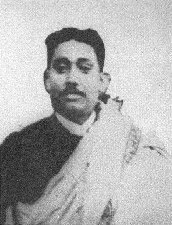 Rash Behari Bose was from Bengal; besides Ghadar Party, he also played an instrumental role in the functioning of the INA later. The meeting was secretly held in Amritsar on 25 January 1915. 20,000 Ghadar members from abroad were supposed to arrive at the Bombay and Bengal ports to join this war. Ghadar Party was originally formed abroad on 12 April 1913 by Indian workers in the Pacific Coast including Canada led by Sohan Singh Bhakna. 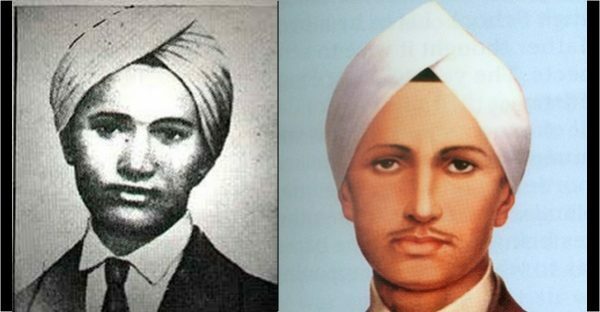 Another key member was Kartar Singh Sarabha. Members initially majorly comprised of Sikhs. Later freedom fighters from different communities joined the party in India and abroad. 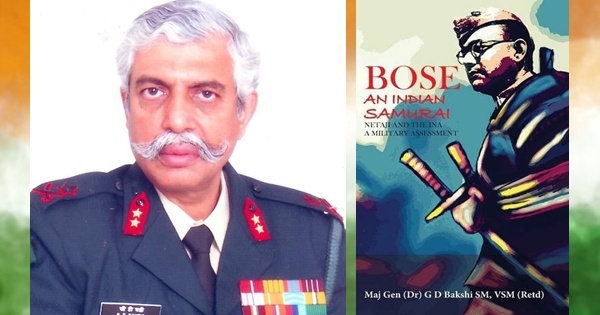 The Indian wing was steered by Rash Behari Bose. It is but a fact that during Muslim and British rule, many Indians themselves were traitors. Had these traitors not existed there would have been no Muslim or British rule. It is because of these traitors that Muslims and British ruled India for a long time. It was because of a traitor within the Ghadar Party that the British came to know beforehand about the war plans of the Ghadar Party. Accordingly, the British arrested many freedom fighters in 1915. They captured Ghadar members from the ports. 291 freedom fighters, all members of the Ghadar Party, were convicted as conspirators. Kartar Singh Sarabha was sentenced to death by hanging on 13 September 1915 in the same trial. 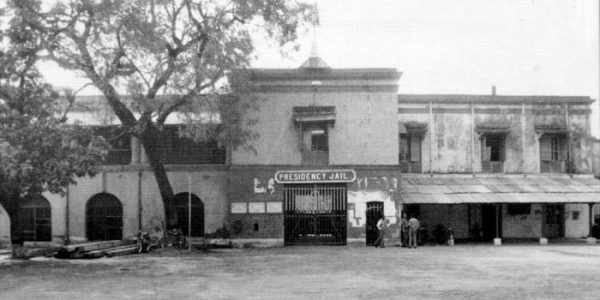 He was hanged in the Central Jail of Lahore on 16 November 1915. He was then aged only 19 years old. According to an account by freedom fighter Kalyani Das (Bhattacharjee), the women of Bengal comprising of all age groups, attended the call of Vande Mataram, the call for freedom of the motherland. Why should only men make sacrifices? Women too have the same right. In the fiery battle for freedom, they joined in large numbers. They were from different social strata and backgrounds. 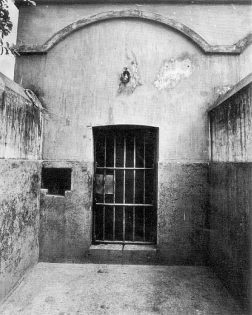 Many were arrested, hanged, jailed, and deported to Kalaapani. This only led to more freedom fighters joining the cause for freedom. 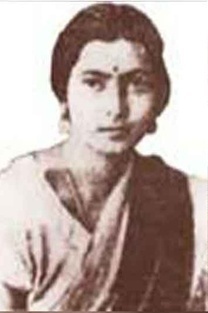 Kalyani Das herself participated in the freedom struggle. 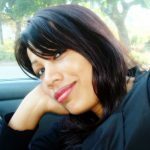 She was sentenced to several months of rigorous imprisonment along with hundreds and thousands of others. She wrote about her experiences in jail and about hundreds of other freedom fighters, whose names are unheard and unknown, in her book Jeebon Adhyayan, which was translated to English by Dhira Dhar titled A Study of Life and published by her son Jayabrata Bhattacharjee. Kalyani Das and her younger sister Bina Das were members of the Chhatri Sangha (Girl Students Association) group in Bengal where the elder sister served as its Secretary. On 6 February 1932, Bina Das attempted to assassinate Stanley Jackson, the Governor of Bengal in the Convocation Hall of the University of Calcutta. She fired five shots but failed to assassinate the Governor. She was captured and sentenced with nine years of rigorous imprisonment. News hit the headlines related to this incident. 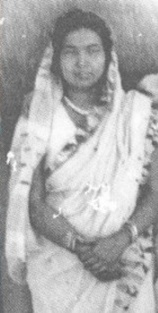 Many other freedom fighters including Kalyani Das were also sentenced to imprisonment on suspicion. It is a pity that we, as a nation, have failed to recognize the martyrdom and sacrifices of thousands of unsung, unknown freedom fighters from across the country. The British confiscated the properties of many freedom fighters, leaving their families to live without food, shelter and in poverty. After India gained freedom, the Nehru government did not do anything for the families of the martyrs. Many a dying freedom fighter, who saw independence, confessed to this grave injustice meted out to them. 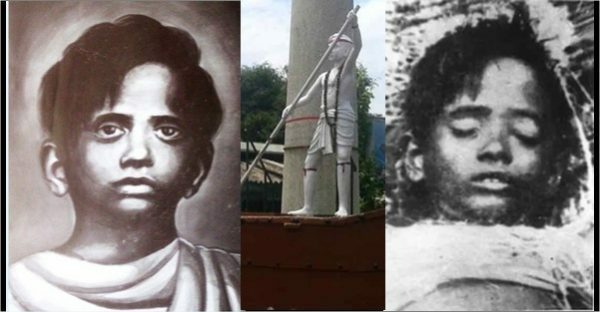 Kalyani Das’ book finds mention of one Shobha Rani, a freedom fighter, who was paralysed due to injuries inflicted by British police and later succumbed to the injuries, saying that the youth of the nation did not know about the martyrdom and sacrifices of the freedom fighters and that the govt. (then Nehru govt.) did not do anything for the martyrs’ families. ‘When we rushed to the matron, she told me, “You, Kalyani, I thought you were a good girl. But I see now that you are dangerous! We will treat you well only if you don’t interfere with the other prisoners.” Finding ourselves helpless here, we went to the Bengali doctor and told him everything. Doctors could change the workload of prisoners if they found legitimate health reasons. He was about to change the order on the ticket, when the matron walked up and told him that there was nothing wrong with the old lady; she was quite fit for the work assigned to her. The doctor immediately changed his mind and told us, “Yes, she is quite fit for the work”. It was obvious why the doctor changed his mind’. Featured image courtesy: Fotothing, midnapore.in and krantidoot.in. Key Ref: Jeebon Adhyayan by Kalyani Bhattacharjee; Translated from the Bengali Original by Dhira Dhar titled A Study of Life and published by Jayabrata Bhattacharjee. Other Ref: Echoes of Freedom: South Asian pioneers in California 1899-1965, University of California, Berkeley, Bancroft Library.